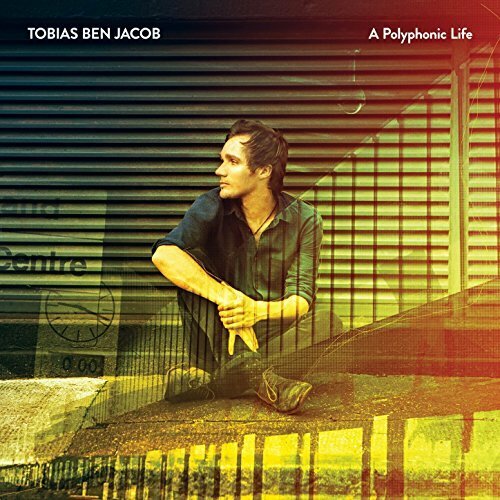 Although Exeter based Tobias ben Jacob has been a wonderful musician for a number of years, first with The Roots Union and then as a duo with Lukas Drinkwater, 'A Polyphonic Life' is his debut solo album. Tobias always had the reputation as a excellent singer-songwriter and this fantastic new album is going to further enhance his growing reputation. It features songs from his two EP's released with Lukas, together with new material written especially for the album. To bring the album to life Tobias has recruited an amazing team of musicians to join him including co-producer John Elliott (The Little Unsaid), duo partner Lukas Drinkwater, Phillip Henry (Edgelarks), Emily Barker, Tim Heymerdinger, Alastair Caplin, Jess McAllister and Andy Watts. The new album features a new expanded, more complex and intricate sound, moving away from Tobias' regular acoustic live shows. In John Elliott he has chosen a very talented co-producer and one who is very sympathetic and a perfect fit for Tobias' new musical direction. In his own unique way Tobias reveals the highs and lows of growing up in a northern town back in the late 80's and early 90's. Topics range from love, teenage frustration, challenges and angst to having big dreams and playing 80's computer games. The album has very keen and clever social observations and storytelling, wonderful musicianship and very trademark catchy melodies. The album begins with the autobiographic '89' discussing events in 1989 both personal and worldwide including Hillsborough disaster and the famous meeting of Mikhail Gorbachov and George H W Bush, which marked the beginning of the end of the Cold War. Next the title track from Tobias and Lukas' EP released in late 2015 'Burning Low' gets a new shimmering make-over, with it's new percussion and underlying lap-steel. This leads into the atmospheric, heartfelt and angsty 'Loaded Gun'. I love the build on this one. (Below is a early stripped studio version with just Tobias on vocals and John on piano. Next up is the electric guitar led heartfelt tale of unrequited love 'Girl From The 109'. 'If Any Dream Survives' is a young love story about running away from home, written about Tobias' and his girlfriend inn Preston who were 'Two wide eyed runaways on the West Coast Mainline'. The song really showcases Tobias' storytelling ability, as we join him and his girlfriend on his eventful journey. The excellent Emily Barker joining Tobias on backing vocals. Again another excellent build to the song reaching an a West Coast CSNY vibe. The rocky 'Beautiful & Strange' raises the tempo with its fuzzy electric guitar and driving percussion. Another keenly observed look at city life in 'Hard Luck Kids' sees them getting stoned in the afternoon, going to acid House parties and popping pills. The song highlighting their tough family life. The electro sounding choir backing vocals on this remind me of Clannad. Listen out for the harmonica solo by the award-winning Phillip Henry of Edgelarks. The added lap-steel gives the reflective and classy 'Parallel' a slightly more Americana feel to the rest of the album. It's a beautiful song with once again Emily Barker on backing vocals, who echoes Tobias' lead. A great string section too from Alastair, which definitely adds to the mood. Another of my favourites getting a makeover is the classic 'I Breathe In Life', unpinned with Phil's harmonica and Lukas' superb and hypnotic double bass lines with John's skilful piano playing accenting the melody. Always a live favourite is the album's title track, the very catchy and radio friendly 'A Polyphonic Life'. This is a real earworm. The three part harmonies from Tobias, Jess and Lukas add an extra richness to the original version. Added to that is a subtle new underpinning percussion track. It has a lovely build to a Fleetwood Mac style bridge before returning to the original melody. The album closes with the very reflective and deeply personal 'Your Sweet Smiling Face' another song about Tobias' young life in Preston, with strong encouragement to 'Hold on to hope, hold on to life.......hold on to your dreams....don't them drag you down." At almost 6 1/2 minutes this is the longest track on the album. The independently released 'A Polyphonic Life' is a wonderful, very accomplished and highly crafted album which has been a long time in the making, but one that has been certainly worth the wait. It is a album which I really hope gets the attention and recognition that it richly deserves. Engineered by Ross Rothero-Bourge and Gareth Young.